How can we best Save the Dead Sea? The demise of the Dead Sea presents a unique opportunity for regional cooperation between Israelis, Palestinians and Jordanians. 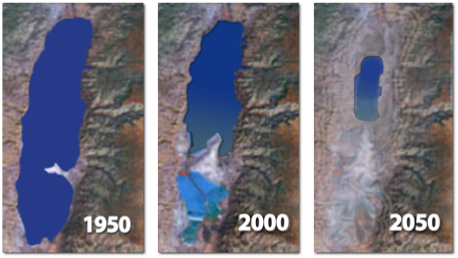 Over the last 40 years the Dead Sea has lost a third of its surface area and it continues to drop in depth by over a meter on average every year. This is a man-made problem due mostly to upstream water diversion. It is important to note that Jordanian, Israeli and Palestinian government representatives have identified the issue of “Saving the Dead Sea” as a national priority. Based on government and public opinion it is now clear that an opportunity for trilateral cooperation presently exists. In order to advance this momentum, cooperation should allow for Palestinian beneficiaries of the Water & Renewable Energy for Sustainable Development. As an emerging economy, Palestinians must secure their viability with (1) water for human consumption and irrigation, (2) an adequate electrical power supply, and (3) the necessary infrastructure to protect the environment. No national entity can survive without these elements. Additionally, the means to raise the Dead Sea water level, including rehabilitation of the Jordan River, must be considered along with the issues of tourism, cultural heritage site preservation and the providing water and electricity for households, industry and agriculture. 3. Prioritizes the steps to harness the potential of the region. MedDead.org believes the Palestinian Authority can benefit best from option 4: Mediterranean-Dead Sea Project. This would provide sustainable economic development and water & power necessary for Palestinian viability and security. Med-Dead.org uses appropriate green technologies to produce renewable energy and water resources. 1. Protecting the shrinking Dead Sea without damaging the ecosystem. 2. Increasing rate of deterioration: 80% of decline has occurred since 1970’s. 3. Dilemma of demand: Decline is caused primarily by diversion for potable water and agricultural demand of the riparian parties. 4. Need for joint large-scale solution: Small-scale local measures will not preserve the Dead Sea and provide for future water and energy demands. 5. International cooperation is required to build hydropower and desalination plants. 1. An economically viable Med–Dead Sea Project alignment has been identified. 2. The Med–Dead Sea gravity flow pipeline conduit provides enough water for desalination for all Palestinians, Jordanians and Israelis. 3. The Med–Dead Sea water pipeline provides enough affordable water to drive hydroelectric power plants for all three parties. 2. Provide water and power for Palestinians, Israelis and Jordanians on demand. 3. Provide economic development and environmental conservation support to public and private interests in the region, with focus on stabilizing a Palestinian state. 4. Improve costs and benefits to the local population and to industry, agriculture and tourism versus the other scenarios. 5. 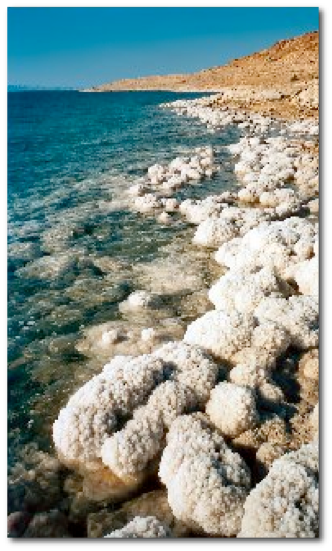 Evaluate impacts of the influx of Med Sea water on the parameters of the Dead Sea. The Mediterranean-Dead Sea Project will use ecological engineering principles and technologies not available to planners in past decades. The program provides economic development opportunities for Palestinians in cooperation with Israelis. 1. The Mediterranean-Dead Sea Project water and renewable energy for sustainable development programs can save the Dead Sea and support rehabilitation of the Jordan River. 2. The Mediterranean-Dead Sea Project facilitates large-scale water desalination and power production. 3. 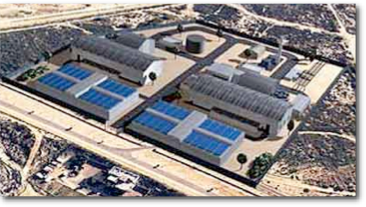 Stronger Palestinian Economy: agro-industry, affordable water and electricity. 4. Regional trans-boundary solutions to water supply problems. 5. Global survival tool for cooperation and sustainable development. 6. Exploits unique free-flow gravity, renewable energy source to generate hydropower and desalinated water for the PA, as well as Jordan and Israel equally. 7. Diffusion of future conflicts through generation of new water sources will eliminate chronic disputes in a water-starved region. 1. A Mediterranean-Dead Sea Project Feasibility Study can quantify economic development benefits to the Palestinians, yet it is understood that peace and security benefits to both Israelis and Palestinians are possible from a more stable supply of water and electrical power. 2. International finance institutions have mechanisms to support this Mediterranean-Dead Sea Project. 3. Costs and risk can be alleviated through a public-private partnership.